How Do You End the Trip of a Lifetime in Germany? October 25 We enjoyed spectacular weather and brilliant colors recently while touring the Rhein and Mosel River Valley areas of Germany. Here are some memories. 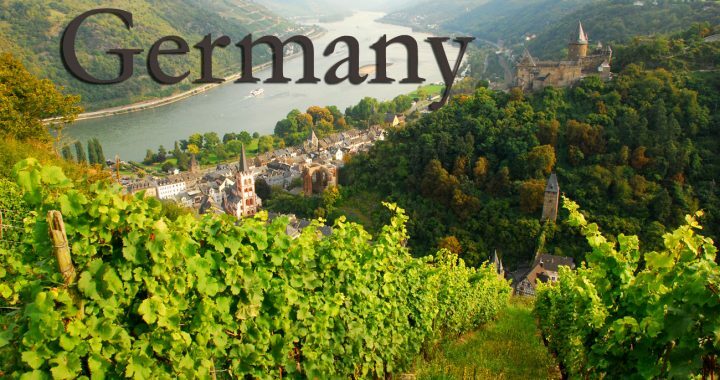 October 22 Jim and Denise toast each other with a chilled glass of wine above the medieval village of Bacharach on the Rhein at the end of their 19-day adventure in Germany, Austria, Alsace and the Czech Republic. Ehrenburg Castle on the Rhein River near Bingen at sunset on October 4.